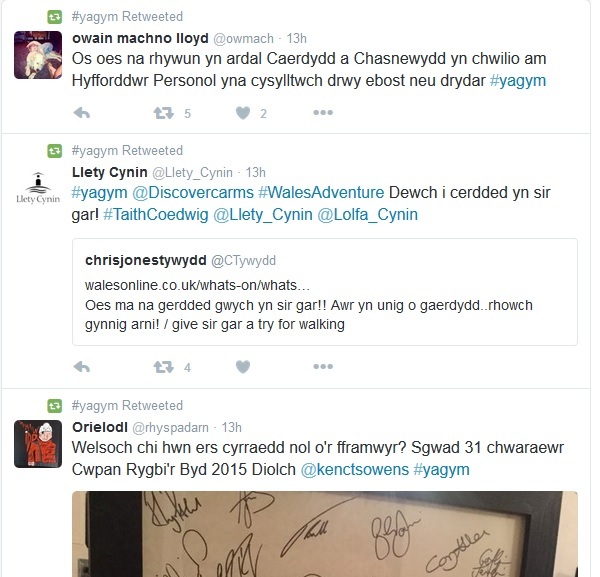 Yr Awr Gymraeg – The Welsh Hour is a Twitter event which is held every week hetween 8 -9 o’clock on a Wednesday evening. It’s purpose is to enable Welsh language businesses and organisations to make contact with each other and the general public. Around 60 – 70 messages are received during the hour and it’s a good way of learning about what’s going on. During the rest of the week it advertises itself and retweets messages from it’s users. 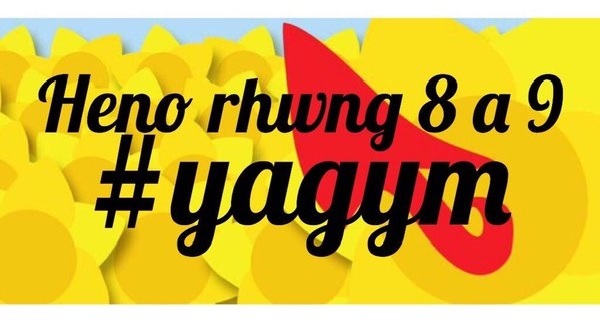 The hashtag is #yagym. This past week 1752 twitter messages including the #yagym hashtag by 442 contributors. The ‘Through Technological Means’ 2015 Conference, Bangor 6/3/15 was held to launch the new Welsh Language Technologies Portal and highlight the software the Language Technologies Unit, Canolfan Bedwyr, Bangor University have released on open licences to enable further use of Welsh within technologies and to be adapted for other less supported languages. All the resources are available at the Portal and include: Corpora, Translation, Speech, API Services Widgets and a link to the resources at Git Hub. Details of the conference are available at the conference web page.